The dragon that terrorizes a town is a fantasy cliché. Another cliché, like the dream explanation mentioned above, is where everything turns out to be imaginary. What happens if you combine these two ideas, however? Then things start to get interesting. If, for example, an inhabitant of the dragon-struck town in the above example investigates the lair, perhaps they could find clues suggesting there is no dragon at all. The dragon could turn out to be a metaphor for a self-created terror striking fear into the town from within. Suzanne Collins, author of The Hunger Games, said the idea for her series emerged while she was channel-surfing. She saw footage of people competing for a prize on one channel, and people fighting in a real war on another. The two combined in her mind’s eye. This resulted in her story of a society where there are compulsory fights to the death between young people. Take the same approach to combining different plot ideas. See what creative energy you can unleash when you combine different scenarios or tropes and give them your own unique spin. 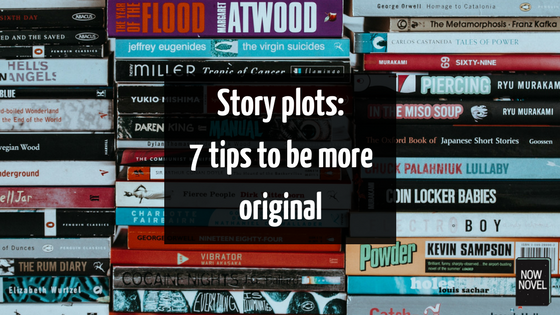 Each of these plot types has its own pitfalls to avoid if you want your story plots to be original. In a quest story, a hero might typically have a trusty sidekick who shows surprising bravery (like Samwise Gamgee in The Lord of the Rings). In a rags to riches story, the heroine might get everything she’s ever dreamed of: The home, the handsome prince, the happiness. In a ‘rags to riches’ story, a resolution that is bittersweet will surprise readers who expected a tidy but predictable wrap-up. A path from plot point A to C via B can feel unoriginal and predictable. So how do you take common story plots and make them your own? Take the common ‘chosen young man is destined to encounter a great evil’ plot type. This would be boring if the progression to the final conflict felt very linear. This is where subplots help you craft familiar source material into something more personal and compelling. In J.K. Rowling’s YA fantasy series, for example, Harry is on a path to a final conflict, and is a ‘chosen one’. Yet Rowling’s setting – a school for witchcraft and wizardry – allows for all kinds of subplots and smaller story arcs and tensions. The daily life of school, complete with conflicts between teachers and students and budding romance, makes the story zigzag towards its end and avoid overemphasizing the more clichéd elements of the plot (such as a central villain seeking immortality). One of the big traps for aspiring writers who want to be original is confusing genre clichés with genre necessities. Your fantasy world doesn’t necessarily need to have warring kingdoms (though this can be given your own unique take). Your romance novel doesn’t have to star the wealthy millionaire who sweeps broke, plain Jane off her feet. What familiar genre elements (e.g. warring kingdoms or a suave, eligible millionaire) does this book use? How does the book make these elements feel less clichéd? What complications/surprises/differences make it stand out from other books that follow similar plot lines? Plan how you will subvert or alter standard details of your genre (be it the trusty sidekick or the devious villain). Even though originality makes a story memorable, repetition is one of the satisfying elements of storytelling. 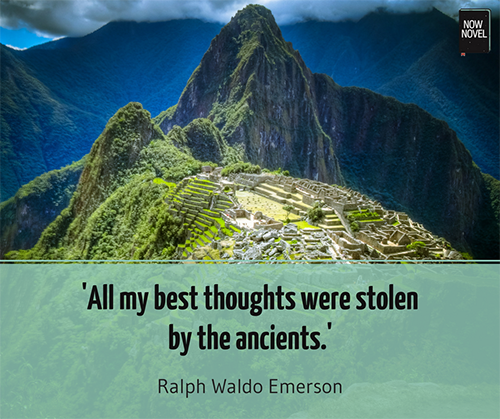 A story that contains familiar elements lets us place it within a specific context and heritage. Focus on how you can harness familiar story ideas to your own ends, rather than make your story absurd simply for the sake of originality. 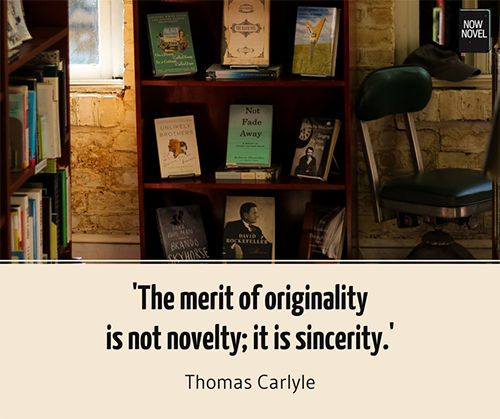 The truth ultimately is that fiction is most original when you express your personal, unique combination of perspective, passion and interests in your writing. Find and finesse the central idea for your story now using the Now Novel idea finder.